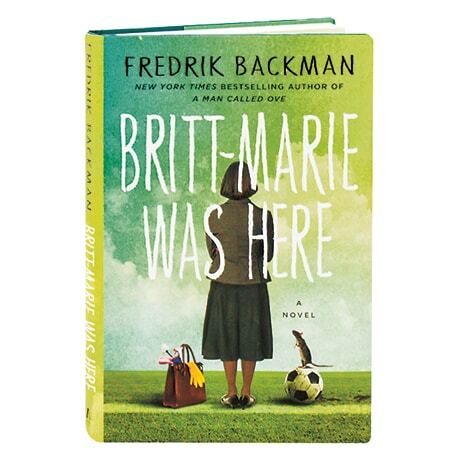 An irresistible companion novel to Swedish columnist Fredrik Backman's winning A Man Called Ove, this is a tale of finding love and second chances in the most unlikely of places. Britt-Marie can't stand mess (a disorganized cutlery drawer ranks high on her list of unforgivable sins) and begins her day at 6 a.m., because only lunatics wake up later than that. And if sometimes people interpret her helpful suggestions as criticisms, that is certainly not her intention; she is not one to judge others, no matter how ill-mannered, unkempt, or morally suspect they might be. But hidden inside the fussy, socially awkward busybody is a woman who has more imagination, bigger dreams, and a warmer heart that anyone around her realizes. When Britt-Marie walks out on her cheating husband and has to fend for herself in the backwater town of Borg, she is more than a little unprepared. She finds work as the caretaker of a soon-to-be demolished recreation center, where she has to cope with muddy floors, unruly children, and a (literal) rat for a roommate. And yet, Britt-Marie finds herself being drawn into the daily doings of her fellow citizens—an odd assortment of miscreants, drunkards, layabouts—and gains the unwanted attention of a handsome local policeman. Most alarming of all, she's given the impossible task of leading the supremely untalented children's soccer team to victory. In this small town of big-hearted misfits, can Britt-Marie find a place where she truly belongs?